Ontario’s general election is taking place on June 12th this year. I’m going to try to convince you to vote. While some York students seem quite political minded, others seem quite apathetic to the whole ordeal – they just don’t care. Our student paper, Excalibur, even wrote an article about it. I remember when I turned 18 – there was a vote of some kind a few weeks after my birthday and I thought I would see how the process works. I found it boring. I didn’t research any of the candidates or their platforms. I just voted on my personal beliefs and checked off each candidate that was in that party. The next few years, I didn’t even vote. But I’m voting this year. And I think it’s important that everyone who can vote, DOES VOTE. We are the people, we have the power to change the direction of our politics. And even more than that – these issues affect us now. When we were children, most of us were probably sheltered from politics and the effects that they had on our family. As we become adults with more responsibilities, these issues now affect us too. The current candidates want to make changes that affect us not just as adults, but as students. Some of these issues relate to the cost of our tuition, how much taxes we pay, how much we earn, the quality of our transit, etc. Other issues expand beyond us into our families and even further but nonetheless they still affect us. What kind of election is this? What am I voting for? This is a provincial election. We will be electing an MPP for our region (wherever your home address is) who will represent us in the legislative assembly of ontario. Depending on which party gets the most seats, that will decide who our new Premier is. 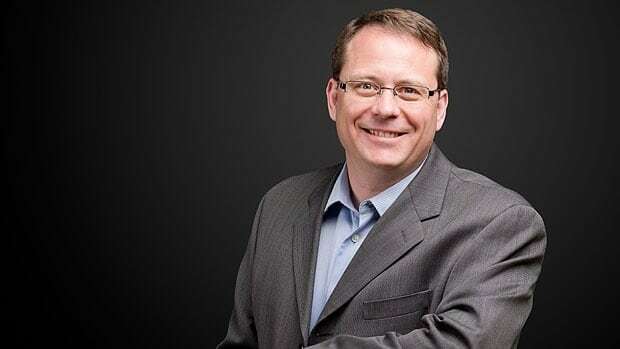 Our Premier is the head of our provincial government who is largely responsible for deciding how the province’s budget is maintained and spent. 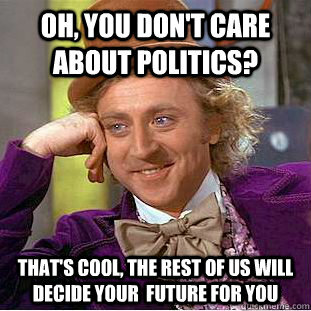 Our current budget is $12.5 billion in deficit so some of the parties platforms will focus on that. Note: Depending on your voting region, you might not be able to support all parties. The Green party in particular might be absent. Who are the parties and their leaders? What are their platforms? Invest $138 billion into transportation infrastructure – including All day, Two-Way Go Express Rail on all lines, Electric train service every 15 minutes on GO lines, Union-Pearson express, etc. You can read the rest of her platform here. You can read the rest of his platform here. At the completion of this article, there was no complete platform, however it should be found here. Read the rest of his platform here. I’m no political guru- I’m definitely still learning. However I do have some important comments on the platforms. – While they have a lot of really important components in their platform that I support, their spending seems the most frivolous and I’m not sure increasing our province’s debt is a good pay off right now. – Balancing the budget is a good goal, however the cuts that Hudak is willing to make seem very dangerous. Cutting so many jobs from the public sector when many of these services could benefit from more employees makes me really wary. – I personally don’t agree with cutting corporate taxes, especially by so much. If you have so much money coming in I think keeping the tax the same or even increasing it is a better idea. – He wants to cut the tuition grant, something that myself and many other students benefit from. – This actually seems like one of the most realistic and balanced platforms. 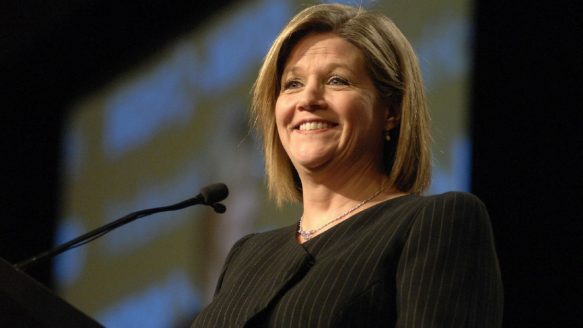 – I think Horwath is taking the money from where it should be taken from and putting into places that need it – for example, I have long thought that CEO’s should be capped at a more reasonable amount and as a non-inclusive renter, a lowered hydro bill would be amazing. – Raising the minimum wage, even to just $12 will help a lot of students and other workers that tend to make minimum wage. Every dollar counts! – I think the Green party has some great ideals but I think they are too focused on the environment for what we can manage right now. I think there are a lot of problems that need to be fixed with our health care and education systems and even in the business world that can be done simultaneously with smaller-scale green initiatives. – My only final advice is to be very critical of the platforms. Politicians have a long history of not keeping their ‘promises’ and you should try to keep up with the news to see if your preferred party leader is consistent and reliable. For those of us who live on or near campus, we are voting in the York West region. If your home address is somewhere else, you can check your district online. You can also check your voting locations. Vote Campus – answer questions on your political beliefs, share your feelings about the parties and their leaders, and this website will share a ton of useful information with you about how your beliefs line up with the different party platforms. Very useful! CBC Ontario Votes 2014 – this is a great resource that details the party leaders, recent news, ratings, and platforms for the upcoming election. Thank you to Humaira Inam for the great idea. You can find her original post here. So who are you voting for? What important issues are you following? What are your ideas to increase student voting? Comment below! Thank you so much Sunera! Megan, I love this post! Very useful and lays out the information very nicely!